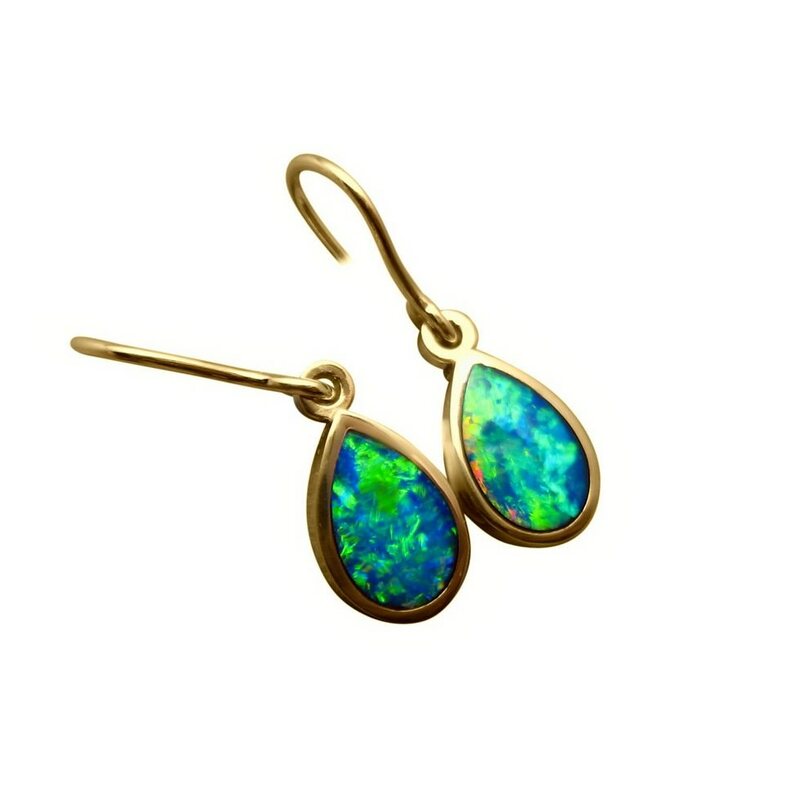 A pair of Opal drop earrings in 14k Yellow Gold with two pear cut Opals showing a stunning mix of colors in a lively pattern. 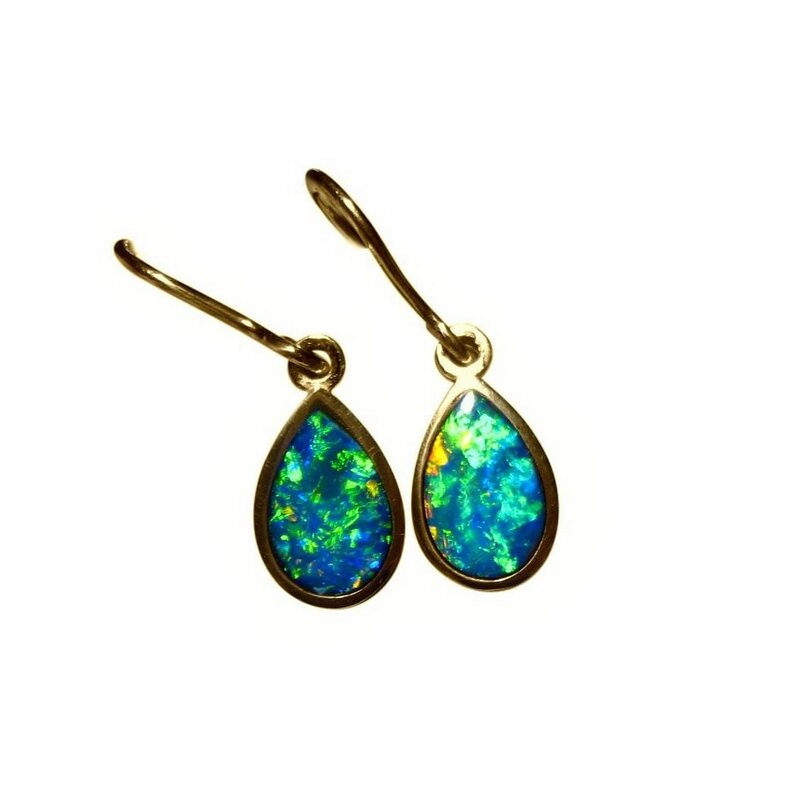 A beautiful pair of Opal earrings in 14k Yellow Gold that are a simple yet stylish design. 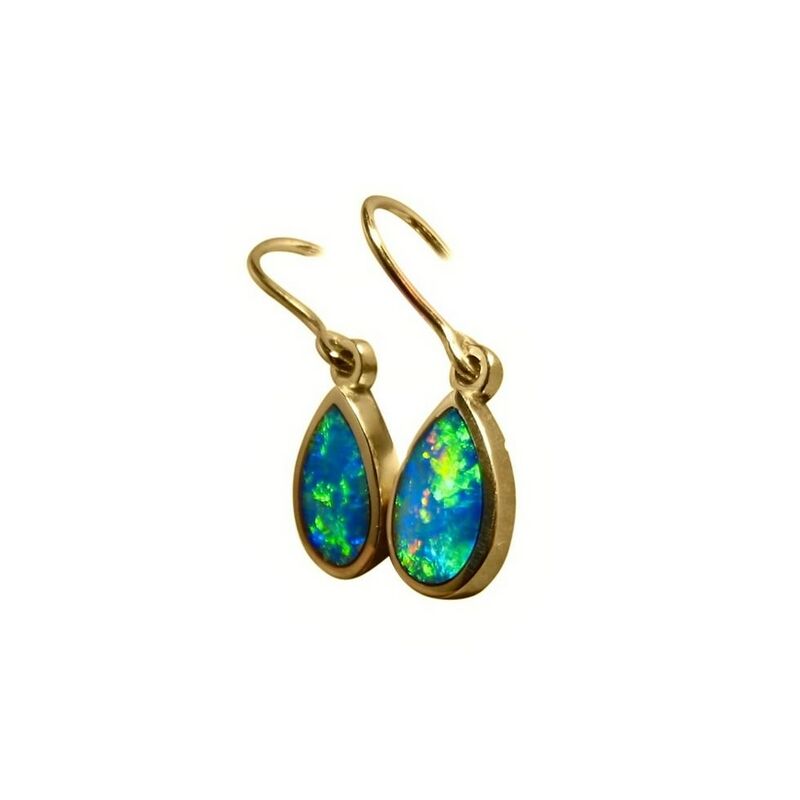 The 14k Gold pear shape earrings are inlaid with very bright top quality Lightning Ridge Opals that flash Green, Blue and Gold in a stunning play of color which you will see in the video below. 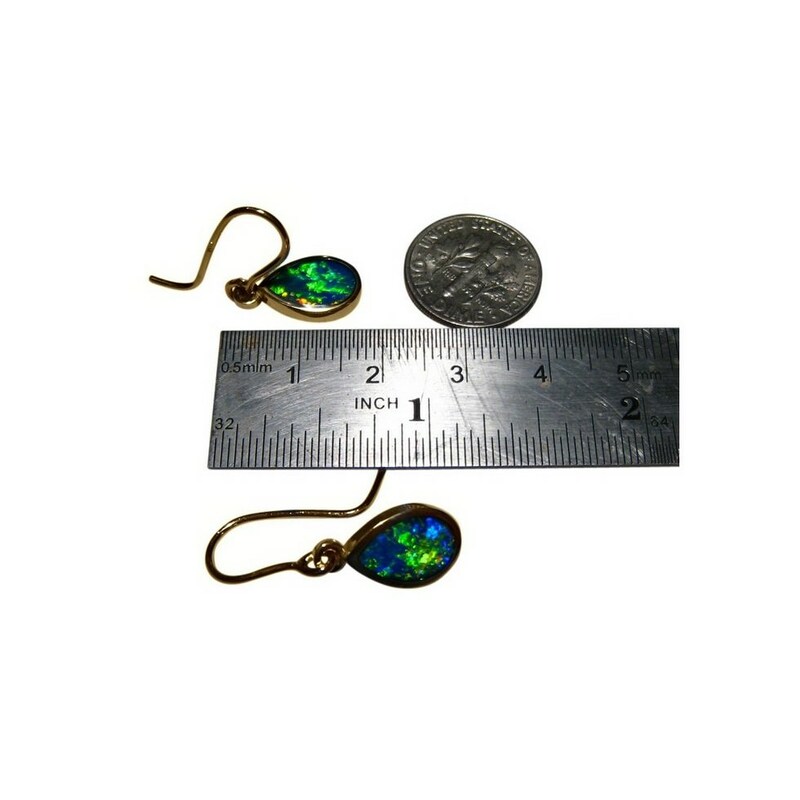 The earrings measure a little over one inch including the shepherds hooks and although the images do not show the full hook, they are complete as you will see in the last image. 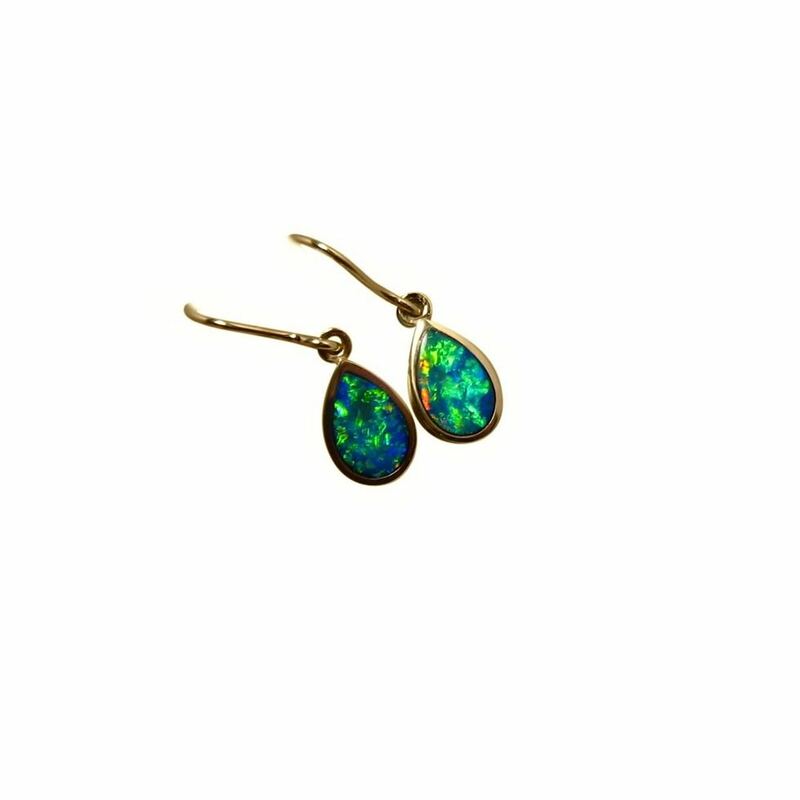 These gorgeous Opal earrings will add color and style to your outfit and are sold however if you would like a pair Made to Order contact through this product to ask about availability of this quality Opal.